Air Fit Liners for proper fit, comfort and stability. 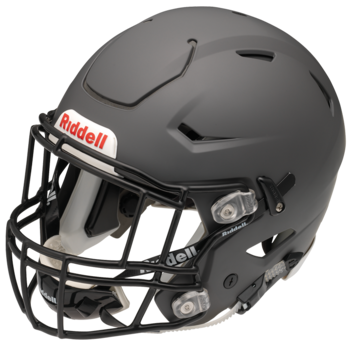 Compatible with the new HS4 Face Mask - High Strength Spring Stainless Steel; thinner and lighter, high performance face mask improves sightlines and field vision for the athlete. Quick Release™ - Face mask attachment that disengages with a simple press of a button. Quick Change Liner Attachment System - Removable padding system with screw-in caps, designed for ease-of-use when removing or inserting pads. built-in to protect the product. Provides comfort and stability. Designed for performance with Revolution Technology built-in. 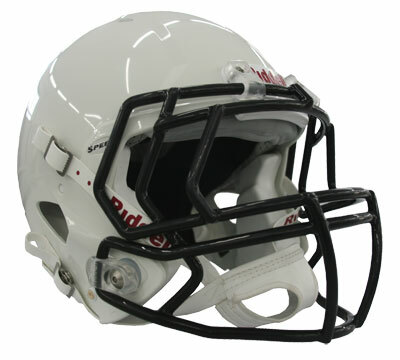 Revo Speed comes at you with an aggressive new shell design, and a super comfortable anti-microbial overliner. 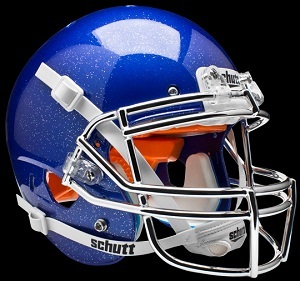 Revo Speed features a new face mask system designed from the ground up to optimize sightlines. 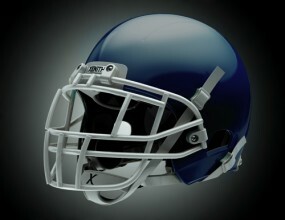 The Xenith X2 football helmet features the same renowned Xenith Adaptive Head Protection system as the X1, with an even more customizable fit system, and a very affordable price. The X2 features traditional football helmet styling, with a low profile, comfortable lightweight feel, and outstanding ventilation. The X2 is manufactured using the highest quality processes and materials. It is built for real athletes in real conditions, and is built to last. The Adult X2 Shell is manufactured using high-impact performance polycarbonate for maximum protection. The Air Flow Vents are designed to facilitate air flow from front to back to cool players down as they move. Thicker comfort pads availabe to provide more sizing options for a more secure fit. The X2 has a hard Chin Cup. The new Orbital Cinch Strap for dynamic helmet retention, designed to keep your helmet on in battle. Protection is the mission of the new DFLX Compression Liner. Rotational impact deflection is a critical advantage to excel in the game. structure to enhance its ability to minimize sudden head movement. Interface Comfort Padding maps the perfect fit to make you and your helmet become one. Poron® XRD foam inside provides improved comfort and enhanced protection. Cool is achieved with the In-Vent Exhaust system. The multifaceted airflow channels deliver true temperature optimization. 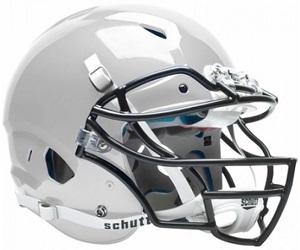 The Xenith X2 xouth football helmet features the same renowned Xenith Adaptive Head Protection system as the X1, with an even more customizable fit system, and a very affordable price for youth teams. The X2 features traditional football helmet styling, with a low profile, comfortable lightweight feel, and outstanding ventilation. The X2 is manufactured using the highest quality processes and materials. It is built for real athletes in real conditions, and is built to last. The Youth X2 Shell is manufactured using ABS plastic. The Air Flow Vents are designed to facilitate air flow from front to back to cool players down as they move. Thicker comfort pads availabe to provide more sizing options for a more secure fit. The X2 has a synthetic leather soft Chin Cup. high-performance protection and comfort for next-level athletes, who need to make a visible on-field impact. 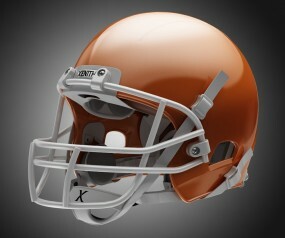 keeps the helmet in shape from training camp through postseason. Schutt hat das Padding verstärkt, um damit noch mehr Erschütterungen abzufangen, als es der Helm bisher schon getan hat. Die Ergebnisse sind extrem. 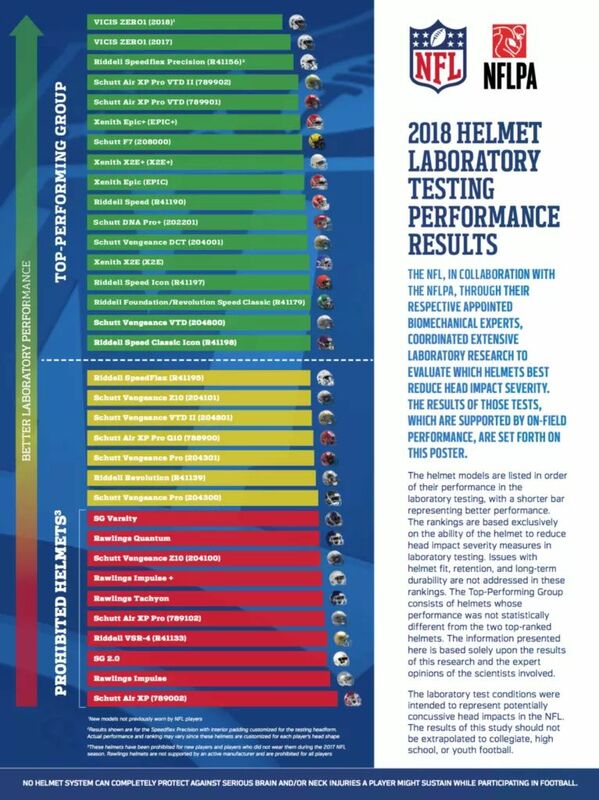 Der Vengeance Pro wurde mit 5 Sternen bewertet und gehört damit zu einem der besten Helme, die durch das Virginia Tech Star Helmet Rating ausgewiesen wird. Der Vengeance Pro kann sich sehr gut an den Kopf anpassen um einen idealen Sitz zu gewährleisten. Über eine Luftkammer und ein Padding Crown System kann der Helm zum anpassen hinten/ seitlich aufgepumpt werden. die auch in Feuerwehrhelmen verarbeitet sind angefertigt, um den Komfort bei Anstrengung und das Feuchtigkeitsmanagement zu optimieren und so deine Leistung zu verbessern. doppelt angebracht ist und im hinteren Teil des Helmes als einzelne Schicht angebracht ist. Das aggressive Helm Design bleibt gleich. the AiR XP Pro VTD II offers up the modern technology and performance of TPU Cushioning, in a classic, traditional helmet shell. lightweight helmet for today’s speed athlete. The VTD II features the latest generation of our patented TPU Cushioning System. Specifically designed to absorb both high and low velocity impacts. Same great heat management and superior hygienics as the Single Layer TPU. 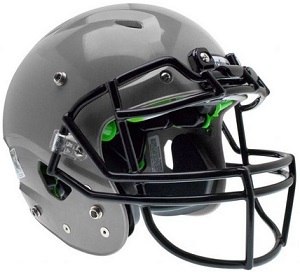 better performing TPU Cushions in the helmet. This enhanced SUREFIT Air Liner features a TPU outer skin with increased surface coverage that makes it ultra comfortable and gives the helmet a soft, “pillow-like” feel. Beneath the skin, additional comfort foam creates a dynamic fit and long-lasting durability. Eigenschaften: Jugend Helm bis 16/17 Jahre nach EU Norm. DER HELM WIRD MIT WANGENPOLSTER, KINNRIEMEN UND Vengeance Youth GESICHTSGITTER VERKAUFT. Der Helm wird als Black Conversion Version geliefert. und Wangenpolster mit 1" Inter Link Version. The Youth A3 has a sleeker, re-designed helmet shell that has a lower profile and is lighter than the original Vengeance shell. The non-inflatable comfort liner has a comfortable fit and feel. 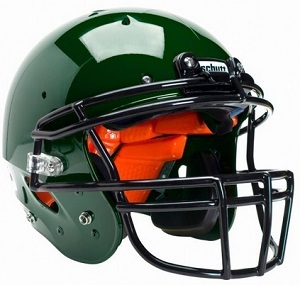 This helmet comes with the inter-link jaw pads that are mechanically attached to the helmet. 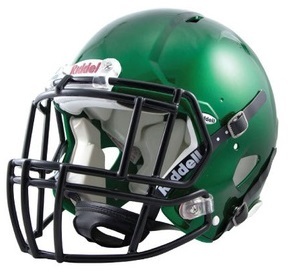 Comes standard with 1" Inter-Link jaw pads. Made in the USA. DER HELM WIRD MIT WANGENPOLSTER, KINNRIEMEN UND GESICHTSGITTER(nach freier Auswahl) VERKAUFT. und Wangenpolster mit 1" Inter Link Version. Die Plus Version lässt sich zusätzlich auf der Basis aufpumpen und ermöglich so einen besseren Tragekomfort. 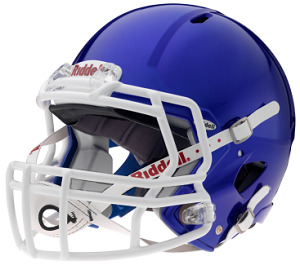 The Recruit Hybrid + Youth helmet is our most popular youth helmet model. 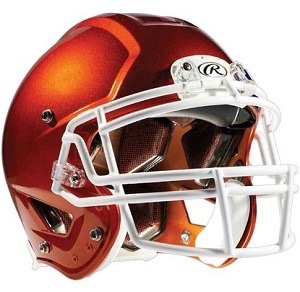 This helmet has a TPU/D3O combination for the best impact absorption. The inflatable air liner is in the back/sides and has a crown comfort liner. 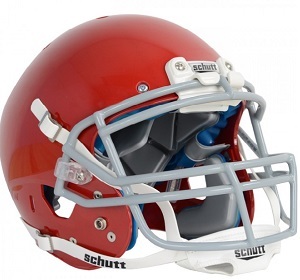 This helmet has all of the features to make it a great performer as well as a comfortable fit. The XP Hybrid+ is a traditional shell helmet with that familiar, spherical shape that so many players have grown up with. 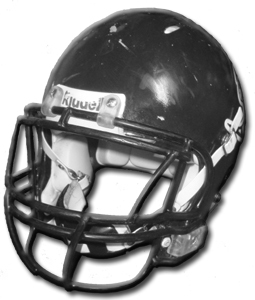 A unique combination of tradition with state-of-the technology in a helmet that?s small in appearance but packs the BIG protection. Light weight, making it easier for young players to wear it. The XP Hybrid+ features TPU AiR Max Cushioning along with traditional foam padding.